A director with finesse, Gulzar slowly unleashes the beauties in Namkeen. 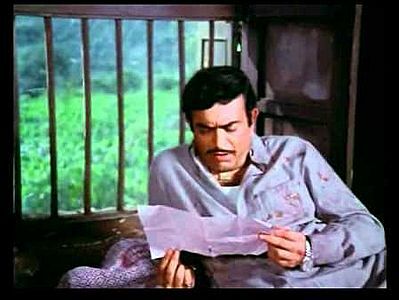 He starts off showing the roughness in Gerulal (Sanjeev Kumar is superlative and restrained as usual). Then he invests time in depicting the irritable qualities of Jugni, a ripe old woman who forgets things, is nagging, is funny for her fauxpas and has a secret to hide. 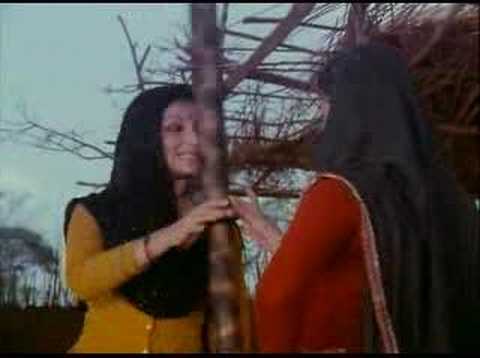 Waheeda Rehman is awesome as the old dame guarding her lot like a she-jackal. I love it when she adjusts her crooked glasses. The poverty depicted is so real and credible. But even in this poverty, Jugni's children are living honestly and with dignity. This is one aspect that Gerulal finds favour with. Mithu's feelings for Gerulal cannot be called as mere infatuation. This dumb girl is a dreamer and hence hopes that Gerulal is the one for her. You see those dreams in her eyes when she waltzes in the hilly valleys with the lilting Phirse aiyo barkha bidesi (Asha Bhonsle's rendition and R D Burman's music are ethereal, the song literally livens up the cold and foggy ambiance). No wonder she breaks down when Gerulal has to leave. But here maybe she mistakes Gerulal's empathy and compassion for love. I read up that after Gerulal leaves, Mithu dies of grief (I find that a bit extreme, though I would love to see the last bit and then decide). Shabana is so different in this role. She has no dialogues, yet her eyes speak. That's the beauty of this brilliant actor. Gulzar makes the hills speak in sensitive 1982 film. 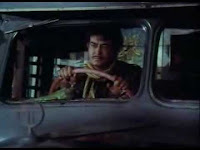 Every scene is pretty and the director has depicted the hilly ways of life so perfectly. The story has no exaggeration and appears absolutely real. 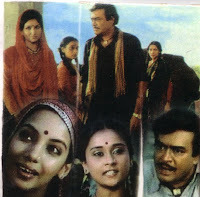 Namkeen is a lovely film, I loved Sharmila in this film.Usually Sharmila overdoes all her 'nakhraas' I think the Bengali word is 'nakaami'but in this one I found her performance quite controlled.Obviously she and Gulzar worked well together,she was excellent in Mausam. 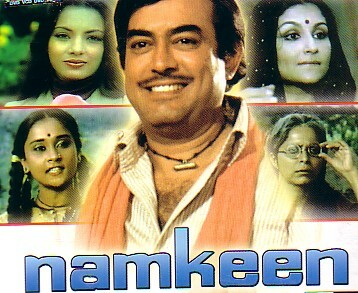 Namkeen is my favourite gulzar film.It was an adaptation of Samaresh basu's Pothik.Have you read that one.The ending was different in the book but i won't reveal it as it would spoil your pleasure of reading that book if you chance to read that one. Kiran Vairale had so much potential as an actor but never got her due. I heard that she passed away in the US. Is this true? She is very much alive; She is married to Dilip Kumar's sister's son Fahad and now known as Kiran Vairale-Mumtaz. She is CEO of Adnet Advertising Agency, Inc. in New York. You can Google the information. In my opinion, the screenplay does not significantly exhibit the feelings which Shabana Azmi (aka Mithu) develops for the new tenant. If a lover is going to get so disturbed by the abscence and departing of a person, the movie should have given enough coverage to the development of those feelings and those emotions. Or maybe my viewing of her character was limited. 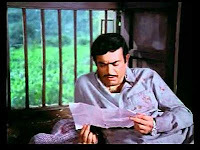 towards Sanjeev Kumar to showing empathy, fondness and being close friends with Sanjeev Kumar. 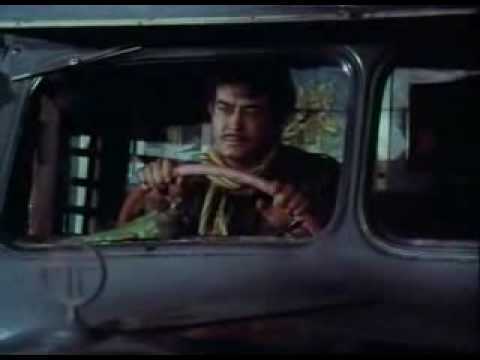 Quite hilarious the scene where after Sanjeev Kumar does so much of troubleshooting, it is known that there is power outage. The two daughters are shown to act so dumb, when in fact they are being so cunning and smart. And Sharmila Tagore indeed does a crafty and admirable job of demonstrating reservedness in her character and the polarizing open-ness as the situation demands. @Rahul: I wish I had seen the unabridged version. Perhaps then, I would be able to analyse thus! Need to see the full movie soon.